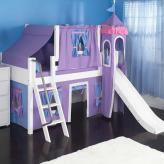 Maxtrix Kids Purple and Green Castle Bed with Slide - Maxtrix Kids calls this girl's castle bed version the Wow 75 Castle Bed. It's shown in white wood with panel bed ends, angled front ladder and festive bed tent curtains in purple and green. 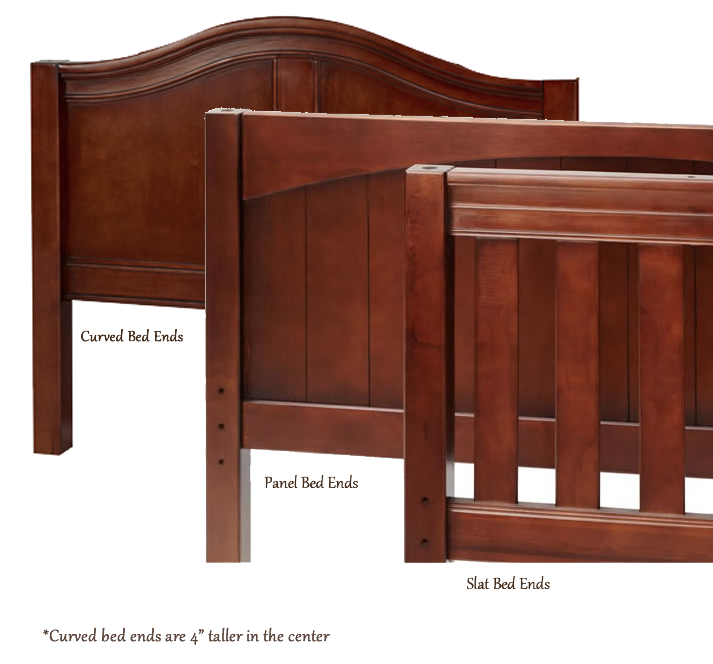 The Wow 75 Castle Bed will open up a whole new daily adventure and help your little one make years worth of memories. Customize this Maxtrix Bed. 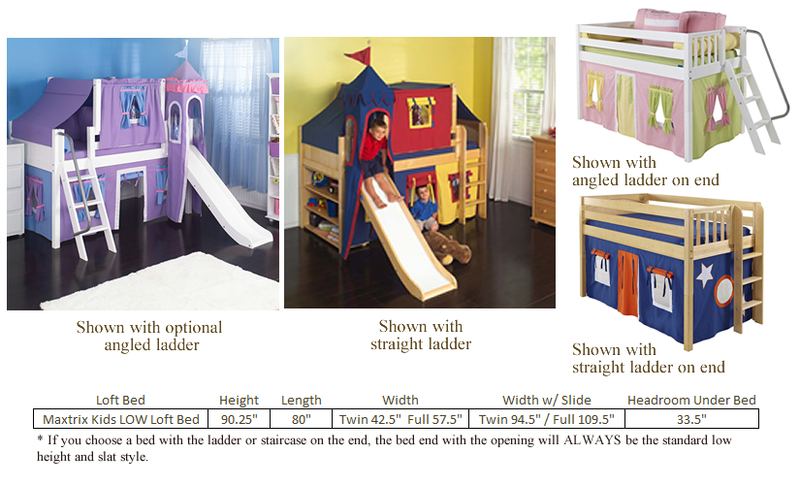 Full Description Maxtrix Kids Purple and Green Castle Bed with Slide - Maxtrix Kids calls this girl's castle bed version the Wow 75 Castle Bed. 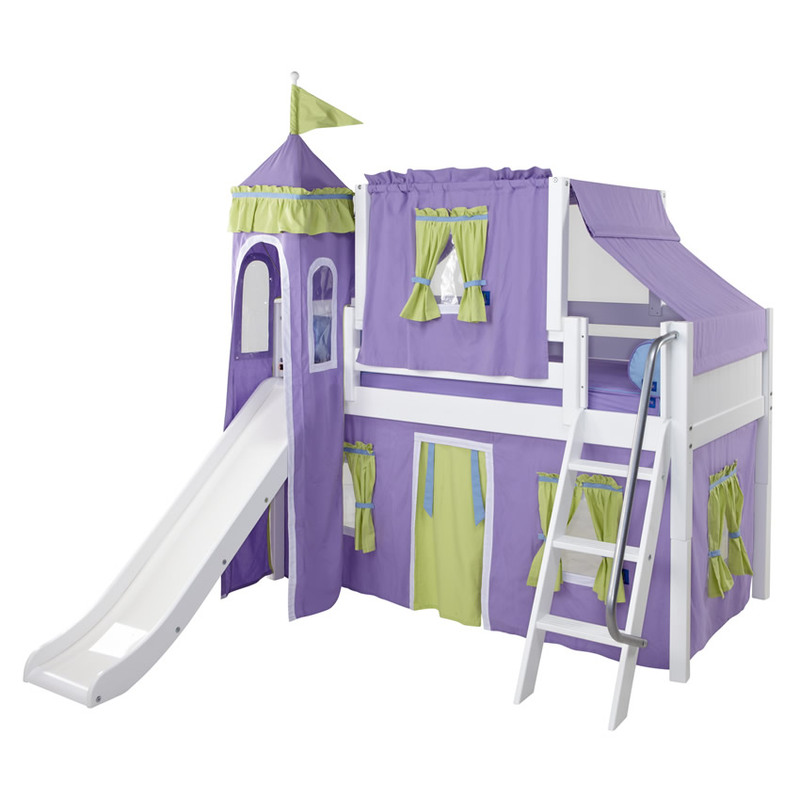 It's shown in white wood with panel bed ends, angled front ladder and festive bed tent curtains in purple and green. The Wow 75 Castle Bed will open up a whole new daily adventure and help your little one make years worth of memories. 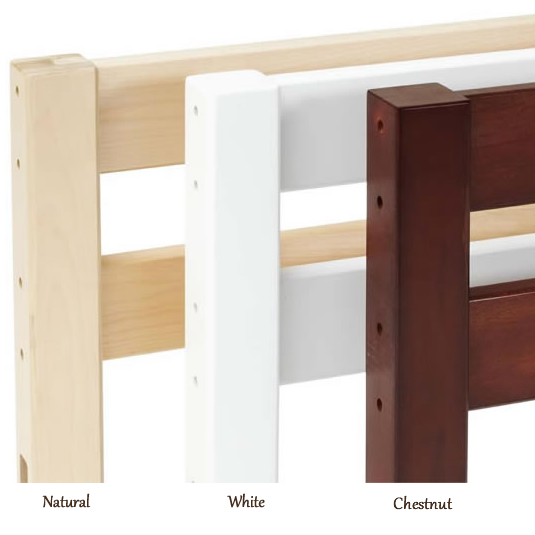 Customize this Maxtrix Bed.